Expecting a nice wee climb with some great snow and ice conditions. Grade 3: Longer steeper sections generally. Use of technical equipment necessary. Ice climbs may require two tools. 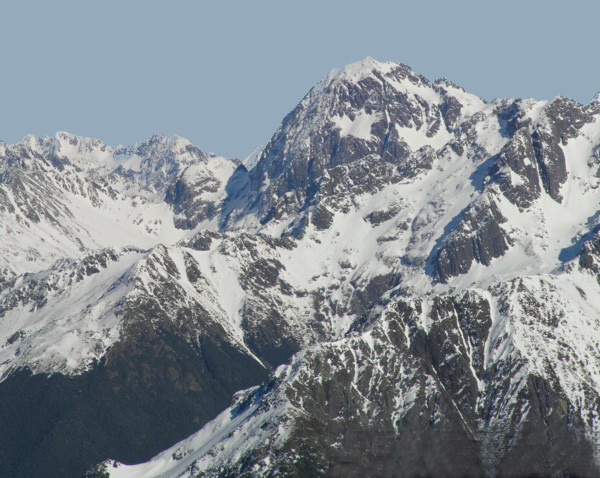 Part of the Travers Range just south of Nelson it tops out at 2,260 metres. Having just joined the NZ Alpine Club this will be our first mountain MARCH with the Nelson branch. Looking forward to a new CHallenge on the mountains Downunder! This entry was posted in MARCH adventures, Mountaineering by Camo. Bookmark the permalink.